Can group medical visits combined with mindfulness sessions benefit people with diabetes? NICM researchers are investigating whether a group medical visit program supplemented with mindfulness and meditation is beneficial to people who have been diagnosed with type 2 diabetes when compared to the usual medical care from a GP. 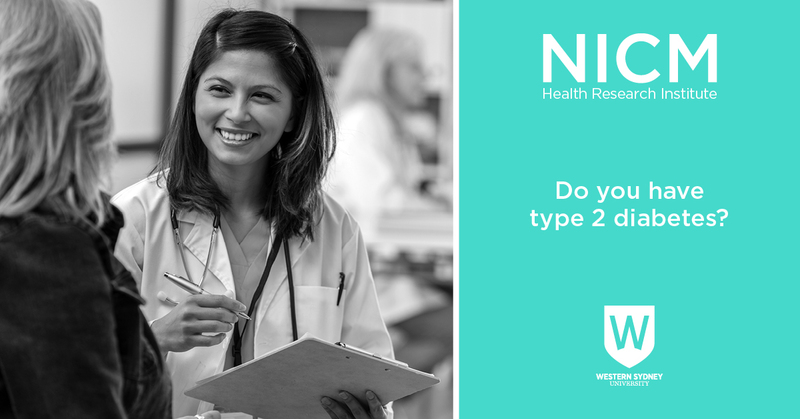 Type 2 diabetes affects approximately 1 million people in Australia, with another 2 million people having prediabetes and being at high risk of developing type 2 diabetes. With such a prevalent and increasing disease it is important that the medical care provided to people with these conditions is of utmost benefit to their health and wellbeing. Group medical visits are a new way to deliver healthcare, giving patients the chance to meet other people with diabetes and learn from others experiences, as well as have regular one-on-one consultations with a GP within a group setting. The group medical visits involve an individualised consultation with a GP within a group setting with up to 11 other people with type 2 diabetes, together with a health education and mindfulness meditation training session. The study will be divided into two groups. One group will receive the usual mode of care and be referred back to their GP. The other group will continue to attend for the group medical visits. Recruitment is now underway for volunteers to participate in the study. Can travel to Westmead (located in Western Sydney) for six group medical visits in the evening every fortnight for a 12 week period. If you are allocated to the group that will attend for group medical visits, you will be asked to attend six group medical visit sessions for a duration of two hours every fortnight over 12 weeks. Meet other people with diabetes/prediabetes, share experiences and have fun. If you are allocated to the usual care group, you will have the opportunity to have additional health checks, including continuous blood glucose monitoring, and our resesearch team can update your GP with your results with your consent. If you have any questions or would like more details about the Diabetes study, please submit the form below and we will be in contact shortly. Please enter you enquiry here. (Maximum 300 characters). This study has been approved by Western Sydney University Human Research Ethics Committee (Approval Number H12925) and is funded by the Researcher Development Program, Western Sydney University.